HUDSON, Ohio — Securement supplier AMF-Bruns of America is once again planning to recognize with an award a special-needs school bus driver who goes above and beyond. 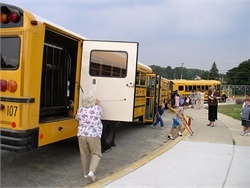 The award winner will receive a $1,000 check from AMF-Bruns, which provides wheelchair occupant securement equipment for school buses and other vehicles. AMF-Bruns presented its first award to Tammy Cummings, a bus driver and safety trainer for Greenville County (S.C.) Schools, in November. Cummings was honored for her actions to keep her students safe when a tractor-trailer hit her bus in March. The enrollment deadline for the award is Aug. 1. For more information, go to amfbrunsamerica.com/awards.php. 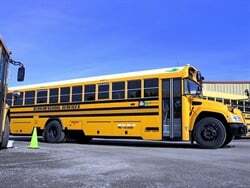 The transportation company teams up with Spokane Public Schools to roll out new propane-powered school buses that will be used to service the district’s special-needs bus routes. A kindergartner scratches a second grade student on the face, causing injuries to the student's forehead, temple, and cheek surrounding his eye. 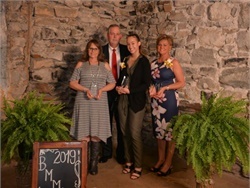 Gwinnett County (Ga.) Public Schools presents awards to Special-Needs Bus Manager Julie Peterson and Special-Needs Bus Monitor Hannah Robinson. Also recognized are a general education driver and a fleet technician. 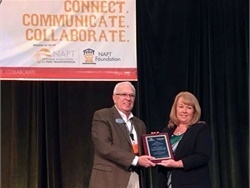 Those who have been NAPT members for at least three years and have at least three years of special-needs transportation experience are eligible. The submissions deadline is July 30. Lisa Byrd faces charges related to child endangerment, impaired driving, and drug possession in connection with a school bus crash with 12 special-needs students aboard. Chesterfield County (S.C.) School District looks to hire aides for special-needs school buses after a non-verbal student with autism was assaulted by another student while on the bus. Lisa Byrd of New Jersey crashes a bus into a tree with a dozen students onboard, apparently while impaired. First responders use Narcan to revive her and she is arrested. One common concern drivers and aides shared on SBF's Facebook page is not being allowed to know details about some students’ conditions, in particular, not being brought into the IEP process. Children’s rideshare services can offer scheduling flexibility, quick response time, and more efficient use of resources when serving homeless, foster care, and special-needs students. Factors to consider are budget and coordination between multiple parties. 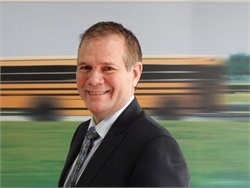 While it may not be ideal for transportation staff to be involved in every step of the Individualized Education Program process, it is essential for them to communicate with parents and related service staff to acquire information that may directly impact a student’s safe travel to and from school. Timothy Galbreath with Somerville (Texas) Independent School District allegedly leaves a student with special needs alone on the bus all day. He is charged with abandoning or endangering a child. Harris County (Ga.) School District staff members practice evacuation procedures for students with various special needs. Normand Pâquet will be in charge of future strategies and business development. He has been Micro Bird’s vice president of sales and marketing for 11 years. The survey covers such topics as student ridership, driver pay, and special-needs bus equipment.